Real-time location system (RTLS) is the advanced technology that automatically identifies and tracks the location of assets and/or people in real time. CarePlus™ employs RTLS to provide clinical grade, room accuracy location services for your chosen targets. All indoor area tracking problems are solved to help reduce capital expenditure. Even contained outdoor areas are covered. RTLS delivers significant opportunities to benefit healthcare facility’s administration, stakeholders, staff, patients, and their friends and families. An added bonus relates to the cost of RTLS, which is built into CarePlus™ Nurse Call products, making RTLS technology highly cost-effective. RTLS provides six important benefits in the healthcare industry, including (1) Patient and staff safety, (2) Equipment tracking, (3) Reduced capital expenditure, (4) Improves workflow and productivity, (5) Greater communication, (6) Increased satisfaction. Patients and staff are protected at all times, especially at times of duress. 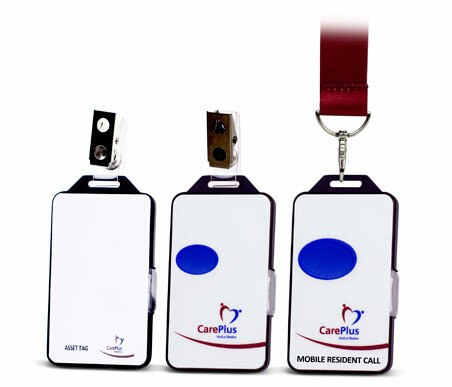 Staff activate their CarePlus™ Mobile Staff Duress tag to signal for help, alerting a third party to their precise room location. Security and third parties can detect and direct to ensure the safety of staff and patients. Reduced misplacement of equipment. Research published by BioMed Central found an estimated 10% to 20% of portable equipment is purchased in excess to allow for more opportunities to find equipment within the hospital. RTLS not only fixes time wastage by staff and saves money, but improves wait time for patients, including in the Emergency Department and discharge, enables fast bed turnaround to synchronise housekeeping, and provides quick maintenance and testing. Location tracking of patients, staff and equipment reduces capital expenditure with less human error, which saves time and money to increase return on investment. Asset management and improved safety becomes an attainable goal with clinical grade room accuracy fostering improved workflow. Greater communication between every member of personnel and patients improves patient care compliance, improves inpatient and outpatient flow patterns, and enhances staff and patient satisfaction. Resident’s safety is maintained through clinical grade location tracking. This can be life saving for residents with diminished cognitive abilities, such as Alzheimers or dementia. Records are kept for future analysis with CarePlus™ Server to improve workflow. Track equipment quickly, such as wheelchairs, to transport resident’s for outings. This also provides synchronisation of housekeeping when residents are out of their rooms with CarePlus™ Asset Tracking. Increases family’s peace-of-mind, making your facility an appealing option for possible residents. Friends and families feel at ease knowing their loved one’s safety is of the highest priority. Improves the facility’s overall communication. RTLS improves productivity, optimising time spent with resident’s rather than trying to locate equipment or search for residents throughout the facility. Staff’s satisfaction increases with safety prioritised through RTLS duress alarms. All personnel can activate their CarePlus™ RTLS tag to signal help anywhere in the facility. RTLS provides room level accuracy to locate a person and/or asset in an exact room, for example room 16 or operating theatre 1. Dual-active infra-red and RF technologies offers superior room detection of a selected target. 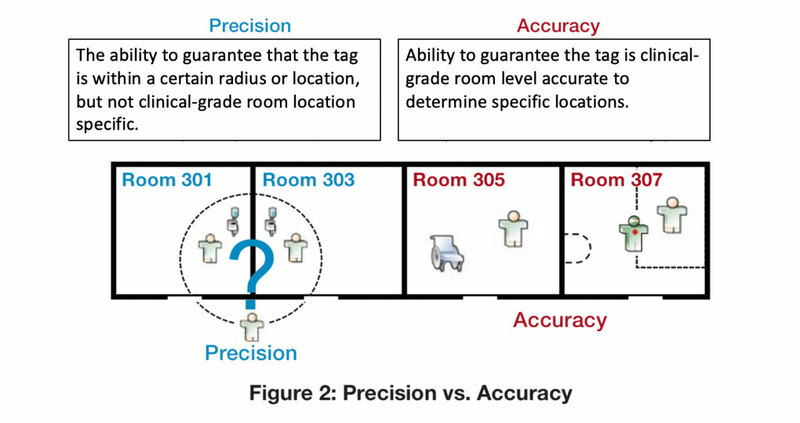 Clinical room accuracy location tracking is achieved through placing IR Nurse Call Points in each room, providing the desired level of coverage in the facility or designated areas. This coordinates with RTLS tags through transmitters and receivers, worn by staff or patients/residents, and placed on medical equipment for tracking to maximise value. RTLS reveals the location of assets as soon as movement is detected or activated. The location of a staff member or patient signalling the need for help is instantly recorded, and the location of an asset is instantly detected and recorded for future analysis. Studies have found RTLS demonstrates good concordance and reliability for direct observation, making RTLS superior to other reported methods of location tracking.